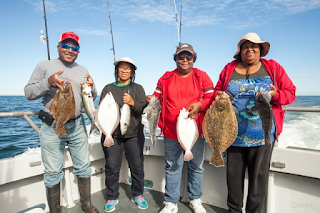 Morning Star Fish Report: Short Notice Trip! 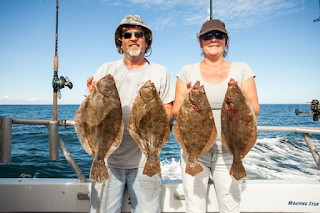 We've had a surprise of late, a resurgence of flounder. Even had my two personal bests this year. Places I was sure would have sea bass in number - not so much, but here come the fluke. Is it red hot? No. But plenty decent. Weather an unkind master, (except during the sea bass closure!) it looks as though Monday might be it for this flounder bite. Might.. 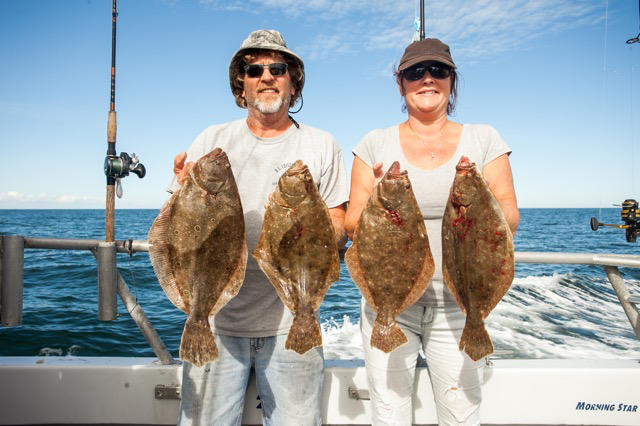 I'm offering a mixed trip of sea bass & flounder Monday, November 6th, 2017 -- $110.00 -- depart at 7 (or 6:30 if all are aboard!) return 3(ish)..